Here's a random idea: What if instead of our number of upvotes deciding our reputation title, what if our upvotes gave us new options for our titles. I like the arrangement of reputation levels, I just want to be able to have your title be a previous title unlocked for an option. Thoughts? I see that we can only upvote now, and then retract that vote. Good thing! I've seen people take out their disagreement with downvoting, which, much like in reddit, is both an inappropriate and somewhat common response. The voting system is to appreciate how well-thought-out posts are, and occasionally to cheer a great idea. Taking the power to express anger via downvotes, I think, is a pretty good idea, for a number of reasons. 1-People who give factual information in a ship thread to disprove stuff won't get the heck downvoted out of them. I've never been a target of this, but I have seen it happen and it kind of discourages arguing against the crowd. 2-When people get a high number of "you got an upvote" messages, but few upvotes, it makes it seem like their post was polarizing and is getting a lot of hate (and support) for it. Again, this hasn't happened to me, but I know that people have left the Shard because of it. Now when this happens, it's shown that the reason is because many of the upvoters thought a post deserved, say, 5 upvotes, and are removing their upvotes to keep it at the level they want (not downvoting because they hate it). 3-I like lists. I'm putting a reason 3. I also like meta humor, which is why I put the last sentence. I also like to give context for my humor because much of it is cliche, and thus I put a legitimate reason for it, like the last sentence. I also like to follow the Rule Of Three, which is why I put the last sentence. I also like Excessively Long Jokes, which is why I put the last sentence and this one. I forgot why I was going to write this sentence. The preceding sentence was supposed to be different. I am wondering if anyone has a threshold list of reputation awarded on this site, can you have negative reputation, I'm very new, but have heard of a Zuchini who sounds like he maybe made a lot of people very angry. I am also wondering if you get Reputation by posting things sometimes as well? Or if it's based solely off of other Users Posts. Anyone? Edit: I only just made a connection on how similar Reputation here seems to be similar to Breaths, in that you only get one, and other people have to will it to you. Humorous in my mind, Also. Is Reputation based on what forums you frequent? I.E. Dark Eyes and Skaa are two different realms. Like the new site overall, now that the brightness has been toned down. The one thing I really dislike is the change to Reputation. Either you should show the number, or some kind of obvious scale (like Reputation: 10+ 20+ 30+ 50+ 100+ 200+ 300+ 400+ .... ) or stop showing the reputation title. As is, it looks like a title the user may have chosen, and as has already been pointed out, some of those titles can appear to be offensive without the reputation context. Personally, I think it's useful to know who has high reputation, since e.g. someone with 4000+ reputation weighing in on a subject is more likely to be familiar with all of the meta info out there than someone new. If you are worried about it being too competitive, then maybe the scales I listed above would be a good compromise? Another option may be to go with boring but obvious titles such as "Reputation Rank 5" and maybe have 20 levels/ranks. Anyway, bottom line is I would really like to see some kind of indicator, or if that's out of the question then stop displaying the current reputation titles. One of the site creators should make a chart showing reputation levels! This would be 100% reliable and so I would always know where I stand in the rankings. Has anyone noticed that many of the top posters in the community seem to have MLP pictures? I fail to understand why this is. Personally, (and I get the feeling that this post might hate me for this) I find MLP to be simply uninteresting and childish. I was forced to endure a few episodes when taking care of a friend's daughter, and found it the most dull experience of my life. Pictures of kittens and puppies can be cute. Pictures of babies (so long as you don't go near the baby itself) can be adorable. But endless hours of ponies frolicking around talking about the power of friendship? In case you don't see my point, I bring to you Exhibit A. People with top reputation points in the 17th Shard: 1 - Kobold King. A steampunk themed pony image. 2 - TwiLyghtSansSparkles. A MLP image. 3 - Brandon Sanderson himself. (Thankfully, with a distinct lack of ponies) 4/5 - Both MLP images. 8 - MLP image 10/13 - MLP images. OK. Maybe I'm going overboard with the title. I like melodrama. So shoot me. But still, I find it strange that the same people who are some of Brandon's biggest fans, reading 1000 page long epic fantasies, can then just sit there and listen to what in my opinion is mindless drivel. If you are an MLP fan, feel free to comment on why you think differently. But personally, from my little experience with it, I find it has a lack of a decent plot structure, no development in characters, lots of deux ex machina, (that one, I can forgive. Doctor Who cheats on this one a lot, too.) and next to nothing by way of complications. Questions? Comments? Hello again, 17th Shard. 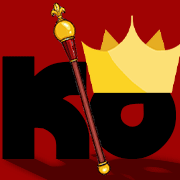 Forum busybody Kobold King here with some general ponderings on the current reputation system, its few failings, and a utopian pipe dream for how this inexperienced newcomer would try to improve it. Today I speak specifically on the anonymous nature of reputation points. All upvotes and downvotes are given from behind a mask, freely dished out with no accountability. I could downvote a dozen posts of my closest forum friends, and they would have no idea that I'd been responsible. In theory, this is a good thing. Downvotes anonymously given can't be retaliated against, right? Upvotes show how the community as a whole feels about your post, not what individuals think... right? Those are the reasons I've seen proffered before, but personally I find them unsuited for the specific moderation of this community. I have discussed before the problem of random downvotes on the 17th Shard. These are uncommon but hurtful, and serve no purpose as they are often given with no notes or indications as to what the voter found offensive about a particular post. I am not innocent in this regard--there have been days where I have irritably downvoted other users without good cause. However, I have always privately confessed what I have done, and have felt shame and regret from the instant I clicked the red arrow. I was a coward, using the anonymous nature of the web to exercise my own bad attitude. Know that I am not advocating this reform solely to curb my own spiteful tendencies; I merely observe my own behavior and extrapolate onto the community at large. I believe that having members be accountable for their actions, their names attached to every upvote and downvote given, would do more good than harm. Members would be compelled to either refrain from exercising random acts of spite or offer constructive criticism towards those they take issue with. After all, it is only posts that I have regretted downvoting that I appreciated the anonymity. Were votes public, I would quite proudly and without compunction stand against posts with vulgar language or content, or posts that showed meanness or spite towards another member. Stealth downvoters are not the only reason I have for advocating public votes. Accidental downvotes would also be less confusing, as downvotes from members known for mistakenly pressing the red button rather than the green could be recognized as such. These are usually confessed anyway, but non-anonymous votes would be useful even in cases in which the mobile site viewer isn't aware they've downvoted anyone. Finally, if retribution downvotes ever became a problem, they would be obvious and easily identified as such. I imagine that the kind of person who would engage in a grudge-driven reputation war with another member is the kind of person who cherishes hiding behind a wall of anonymity. Taking away that anonymity would compel them to either not engage in such pettiness or would make them easier for moderators to track. So those are my thoughts on how public voting would benefit the 17th Shard downvote system. I also have a few thoughts on how they would improve the upvote experience, if no one minds me rambling onwards a little longer. I have seen it expressed before that upvotes are a sign of how the community as a whole receives one's posts. And to an extent, they are; you will obviously receive more upvotes if the forum as a whole likes you than if a single individual declares you to be the best thing since wrapped chouta. However, the emergence of sub-communities on the 17th Shard have made upvotes a murkier thing than it needs to be. It is no secret that the Reckoners RPG is a veritable fountain of reputation points. The players there wallow in an endless stream of fun and in-jokes, and upvote one another constantly. What is more subtle to observe is the way the RPG's participants rally around one another on boards unrelated to What Happened in Oregon. Members of the Reckoners RPG display a minor preference towards viewing and upvoting the posts of other members of the Reckoners RPG. This is not a bad thing; this is merely a case of friends liking and agreeing with each other. I strongly suspect that the same happens with players of the Sanderson Elimination games, or Guild participants, or even amongst the tightly-knit group of admins that run this forum. While there is nothing wrong with sub-communities supporting one another across the forum, I for one would find it educational to know which posts of mine are upvoted by my friends of the Reckoners RPG and which are upvoted by forum members that I've seldom interacted with. It's easy to get lost in the references and sub-culture of the site, and it would be quite nice to have traceable upvotes to let me know who my most appreciative audience is on any particular post. While I can't express how this would work on technical grounds, but I know that this My Little Pony forum has non-anonymous upvotes, and it seems to use a lot of the same software as we do. I think. As one final disclaimer before I post this topic, let me stress that I don't pretend to know what's best for this forum and this community. That distinction goes to our admins, who have been around since the beginning and have benevolently guided us by the light of their wisdom. While it sounds melodramatic when I say it like that, let me assure you that I mean it definitely. These are only my thoughts on the current system, posted here for evaluation by the admins and fellow members that I respect so much. Does anyone agree with me that upvotes should be made public and traceable? Do you disagree? Do you think I'm a buffoon for even suggesting it? Here's the place to say so. I...I've done it...I just gave Peter his 4000th reputation point...and I didn't even have to hunt him down, he was conveniently at 3999....yesssssssss. This post got downvoted. However, my overall reputation went up. As far as I can tell, none of my other recent posts have been upvoted. Anyone know what went wrong? Would it be possible to sort search results by reputation? Or even to sort a thread by reputation? I'm thinking specifically of the massive "Hidden things in map of Roshar" thread, and how it would be cool to be able to just jump to posts that have been upvoted. Thanks!